Science is a very important feature available to players in the game of Astro Lords: Oort Cloud. It enables the player to progress and get new opportunities in game. 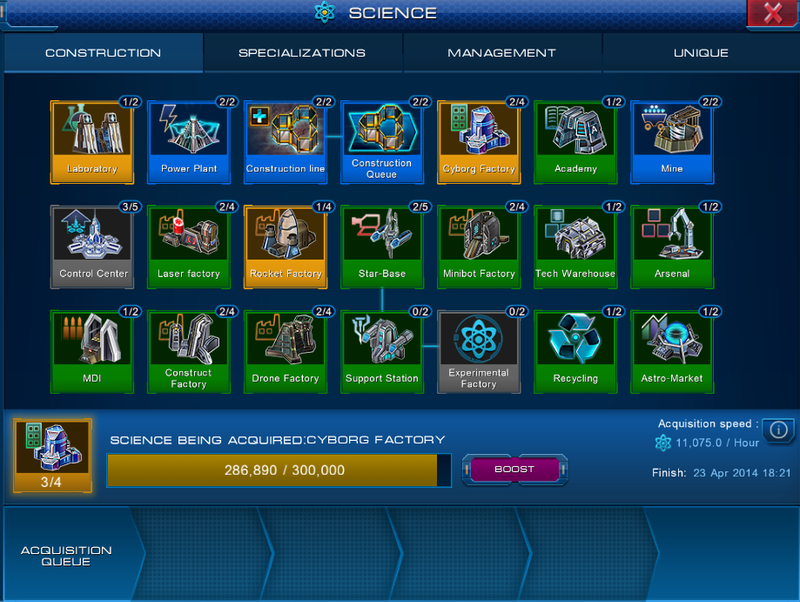 To access the Science window, the player needs to hit corresponding button in the top panel. This page was last modified on 21 May 2014, at 13:54. This page has been accessed 10,638 times.